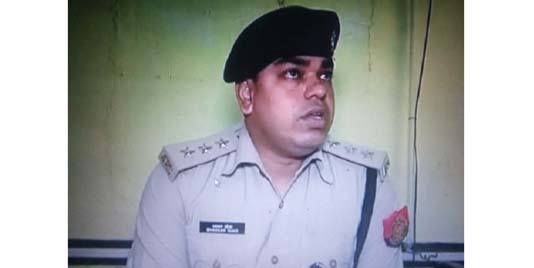 A police team led by Dhubri Additional Superintendent of Police, Gunendra Deka, on Sunday conducted a search operation for Dhubri Deputy Superintendent of Police Bhaskar Oja, who was suspended on July 20 last for being allegedly involved in corruption, at his residence at Sundaridia in Barpeta district. But as per reports, the police could not find Oja at his residence. Oja has been absconding for the past few days. Police official Oja had allegedly demanded an amount of Rs 30 lakh from one Ariful to prepare a case diary in favour of the latter and asked Ariful to hand over the amount to a room orderly over the telephone. The incident came to light when the tape of a phone call, believed to be that of DSP Oja, was revealed by the KMSS before the media. Ariful was allegedly involved in cow smuggling. KMSS leader Gogoi had also disclosed the phone tape of the conversation allegedly took place between Oja and Ariful during a press conference on August 11. While attacking the State Director General of Police for his failure to take action against suspended DSP Oja, farmer leader Gogoi said that the Police Department did not take any action in spite of having cognizance of the incident. The police official has been kept under suspension following an order from the Assam Chief Minister.